Need a simple but an inexpensive yet beautifully designed wall clock? Look no further! 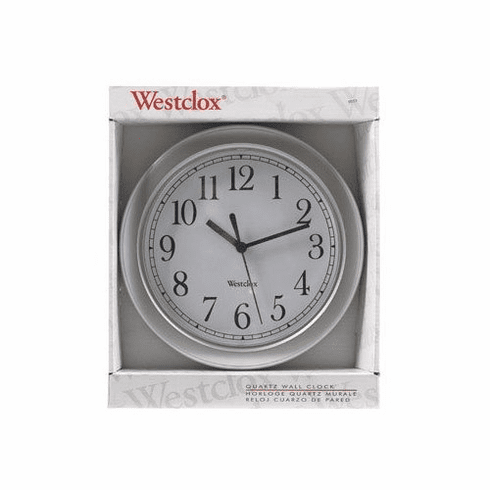 This Silver Round Simplicity Wall Clock is easily read with its white dial black numbers. Features plastic lens with quartz battery movement. Uses (1) AA' Battery which is NOT Included. Measures 8" in diameter.